Showing 1 - 5 of 5 Products for Exhaust Pipe Spout. Dual Exhaust; Under 8800 G.V.W.R. ; LH, RH; 3 Inch T-304 Stainless Steel; Includes clamp. Dual Exhaust; Under 8500 G.V.W.R. ; LH, RH; 3 Inch T-304 Stainless Steel; Includes clamp. Under 8800 G.V.W.R. 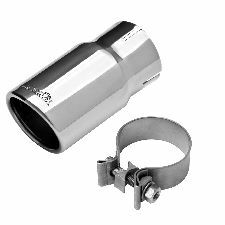 ; Dual Exhaust; LH, RH; 3 Inch T-304 Stainless Steel; Includes clamp.